Café Saba had been running for seven years now and is still going strong, serving some of the best authentic Vietnamese food in Adelaide. Even though Café Saba is situated in the quiet side of The Parade, at the back of the Parade Pavillion, they are still bustling with plenty of customers, showing that good food will always bring customers in. 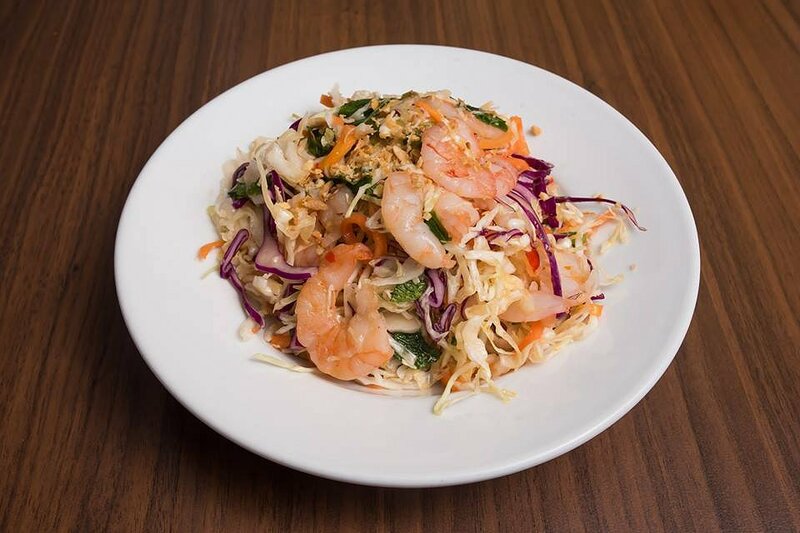 Café Saba is known for it’s wonderful Pho dishes but if that is not your thing, they also have a delicious selection of dry vermicelli noodle dishes, rice combinations and plenty more. Storeowner for seven years, Long Dinh, is proud of the family run business, running partnership with his brother and sister. 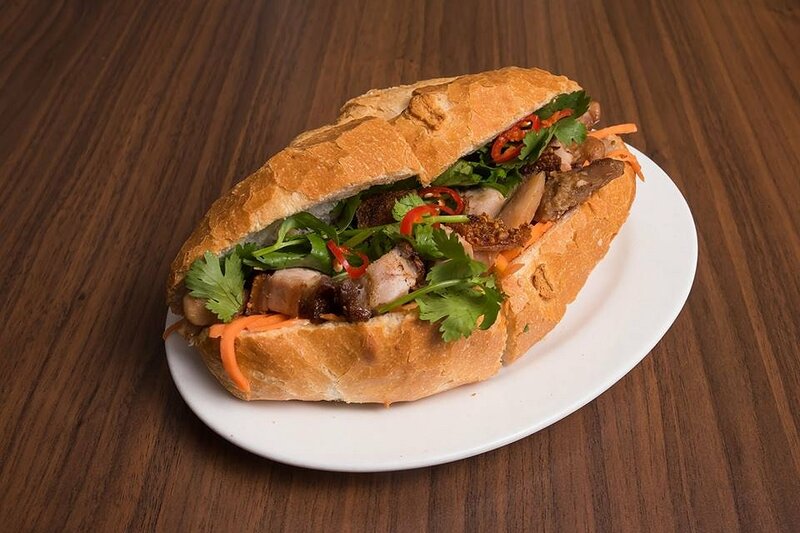 They also own a second Vietnamese store, Q-Viêt in Adelaide’s Northwest, and take pride in giving authentic Vietnamese food to the people of Adelaide. “Our motto is ‘taste of freshness’, so the aim is to serve authentic and fresh ingredients in our food,” Mr Dinh said. He hopes that guests will leave with a sense of satisfaction after coming and eating at Café Saba. The Pho Tai was aromatic and inviting. The light and earthy flavour of the beef broth was delicious and kept us wanting more. The flavours of the beautiful rare beef with the slippery rice noodles and warm broth was balanced perfectly. The spring onion and coriander added freshness to the dish but also added crunch and extra flavour. The broth held a lovely deep beef flavour and was seasoned well, not too salty. 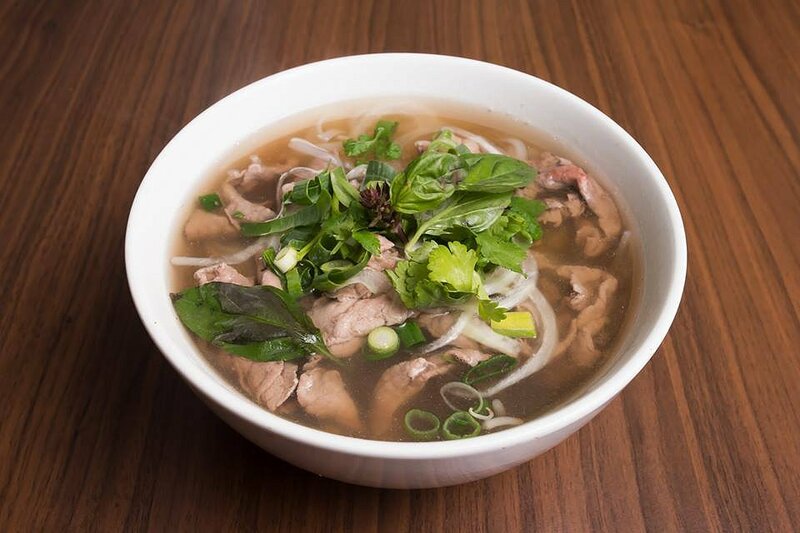 It is no wonder that Café Saba is known for its Pho dishes; I couldn’t get enough. The Steamed Wontons were delicious. The smooth wonton wrapper was steamed perfectly and held a lovely soft pork and prawn centre. The wonton, even being small, was packed full of flavour. 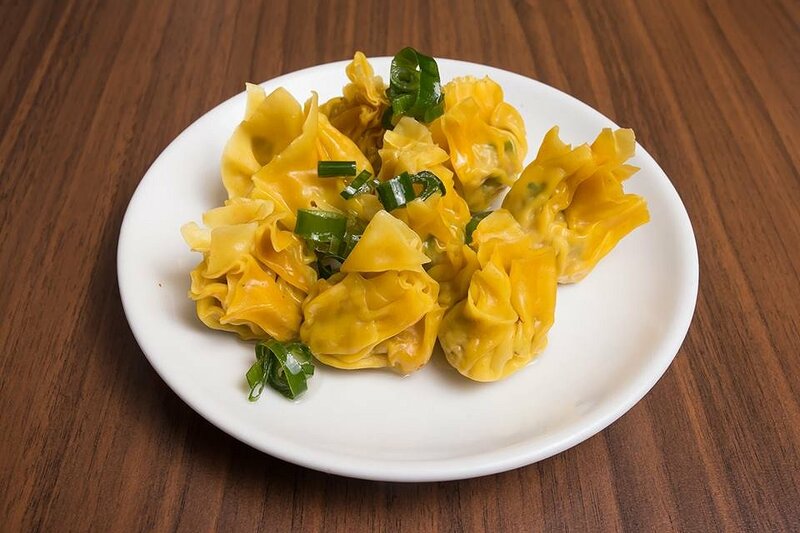 The wonton and centre filling was both cooked perfectly and is an ideal starter dish or any meal addition. Served with a sweet chilli sauce on the side, it added a lovely heat to the dish; but perfect for those who don’t prefer spice as you can choose to leave it out. 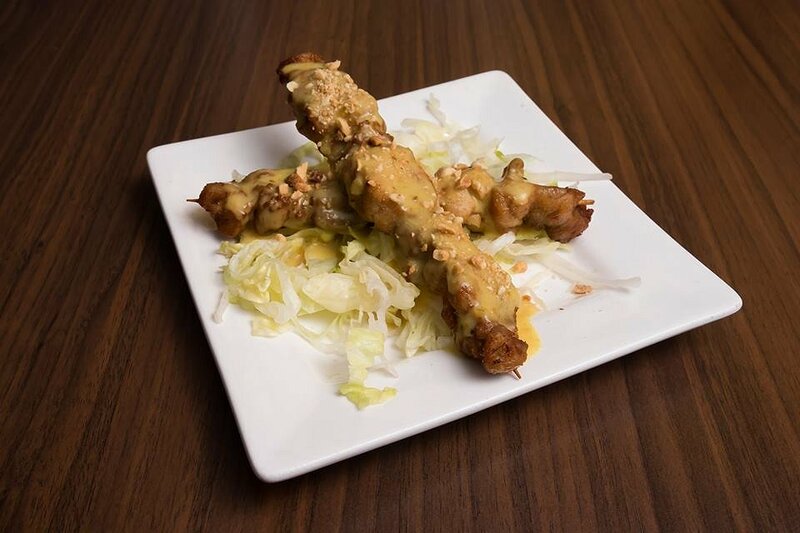 The Satay Chicken skewers were cooked perfectly and were just delicious. The chicken was beautifully juicy, and had a lovely sweet and sticky marinade coating. The sweet and light satay sauce was smooth and creamy and full of flavour. The crunchy nuts sprinkled on top were a lovely addition, balancing textures with the smooth sauce and tender chicken, and also added an earthier flavour to the dish. The Prawn Salad was a lovely refreshing and light additive to our tasting. Containing lovely fresh prawns, the salad itself had a sweet tang that made you want more and more. There was a hint of chilli in the otherwise sweet salad, that left a warm feeling in your mouth, but it wasn’t overpowering at all and helped to balance the sweeter flavours. The slaw-based salad was beautifully crunchy and crisp, with the fresh prawns to balance. Overall was a lovely dish and added side to our meal. The Vegetarian Spring Rolls were delicious. They held a lovely crispy outer shell and a soft centre, which was full of flavour and spice. The vegetables were soft and held together well. 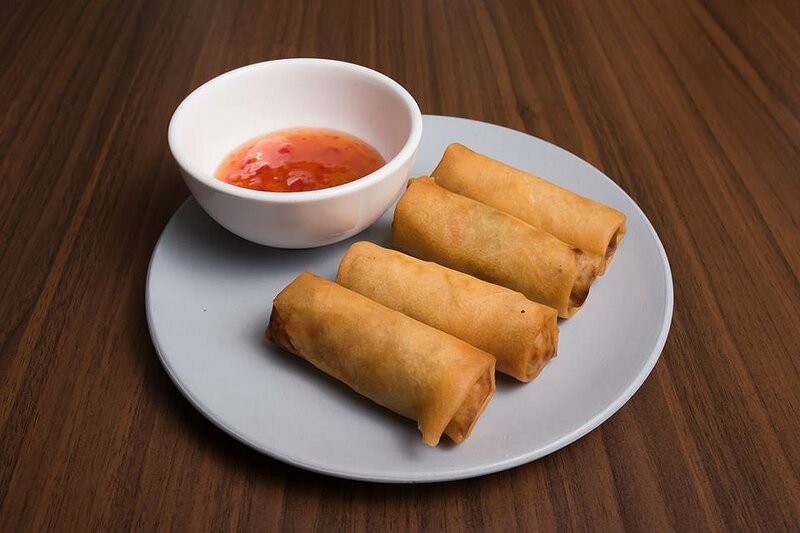 The Vegetarian Spring Rolls were paired with a lovely sweet chilli dipping sauce, which added a slight heat to the savoury dish. The Vietnamese Bread Roll was full of flavour and a very satisfying dish. The roll itself was fresh and had a crunchy crust with light, soft and fresh bred centre. The pork was cooked well and was soft and tender with lovely crunchy cracking skin. The salad was fresh and crisp, with fresh chilli that gave off a bit of heat while the tang of the coriander balanced with the sweet and crunch carrot. The sweet mayonnaise style dressing was a lovely additive and gave another layer of moisture to the dish. Overall, the bread roll is a fairly simple dish but packed full of flavour and definitely will satisfy anyone’s hunger craving. The Roll can also be made with grilled chicken or even a combination of both for those who may want to try something different. The Fried Rice is always a dish that I love. 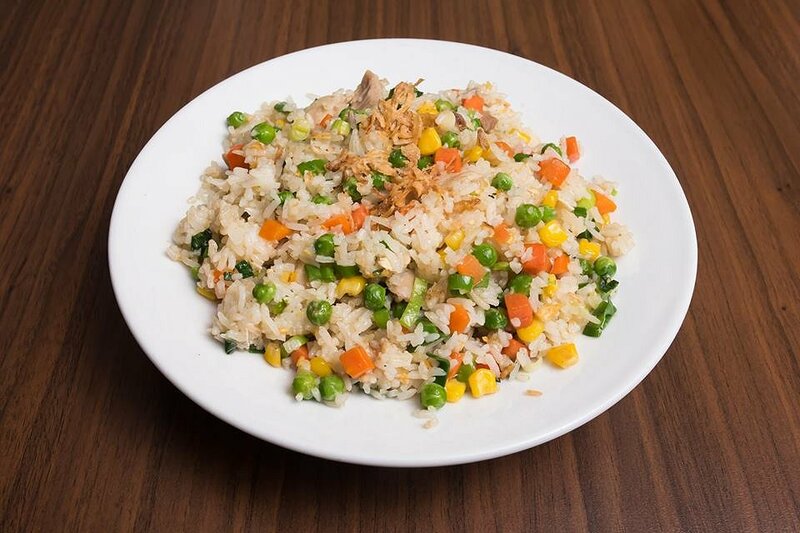 Packed full of flavour, the sweet fried rice was paired with lovely steamed vegetables that were soft with the slightest crunch. Perfect. The added chicken was cooked well and added another savoury meat flavour to balance the sweet dish. Perfect to be eaten on its own or accompanying any dish. The Com Tam Dac Biet or Combination Broken Rice is a delicious and hearty meal. 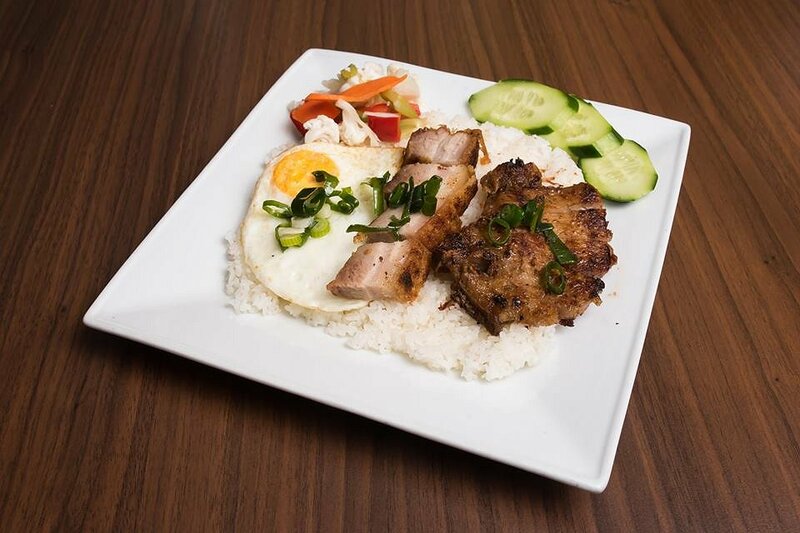 Served with grilled pork chop, roasted pork and a fried egg, the dish is for those who have a big appetite. The roasted pork was cooked well; beautifully tender and sweet, with crispy, salty crackling, while the tender grilled pork chop had a slightly smoky flavour with a nice, sweet marinade coating. The rice was soft and sticky and added flavour, while the savoury egg and steamed vegetables were beautiful and helped add to the already filling meal. The lovely chilli sauce added heat to the dish, but was left on the side to be added to your own liking, depending on how you handle spice. Café Saba also offer Specials written on the Chalkboards, so make sure to check those out too as you mind find something delicious that is not on the menu. Each dish was generous in size and was packed full of flavour. It was evident that Café Saba took pride and care in creating each dish and sourcing fresh ingredients from around Adelaide. They definitely bring customers the tastiest Vietnamese dishes, and make you feel at home with every bite. A lovely and convenient location along the Parade in Norwood, open six days a week, and with free parking at the back, there is no excuse to not try Café Saba for yourself.